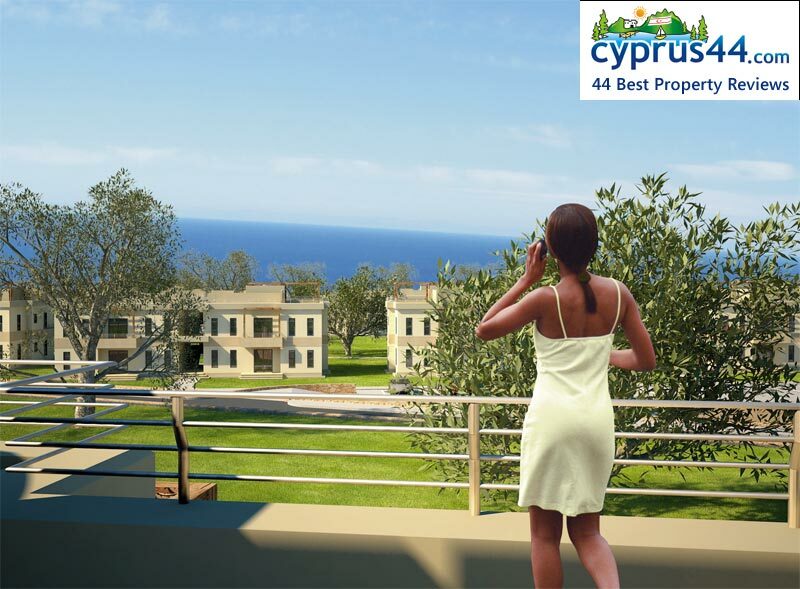 Serenity Apartments is one of the best properties listed in Cyprus44 property reviews. THIS PROPERTY IS NO LONGER UNDER DEVELOPMENT. PLEASE PAY CAREFUL ATTENTION WHEN DEALING WITH THIS PROJECT. The Serenity Apartments are a development by Unity Ltd. Unlike many North Cyprus developers who give rather sketchy details of their apartments, the Unity Ltd Serenity Apartments web site gives a great breakdown of exactly how the apartments will be constructed, right down to the standard of concrete and number of coats of paint to be applied! This level of openness is truly to be welcomed, and bodes well for their contracts to be equally clear on exactly what is and is not provided. The Serenity Apartments are located near the ancient village of Esentepe, and are a 25 minute drive east of Kyrenia (Girne). Better still, the Esentepe region is only a ten minute drive from one of the best beaches in North Cyprus, Alagadi Turtle Beach. Set amongst a pine forest, the 92 apartments at Serenity are divided into 23 tastefully design blocks, surrounded by landscaped grounds. The developers have been exceedingly generous with the space, as 90% of the total area of the site is open space for residents to enjoy. What gives Serenity Apartments their tasteful and exclusive feel is that each apartment block is only two storeys high (ground floor plus first floor), and each block contains just four apartments. Despite their low profile, each apartment should enjoy both good sea and mountain views, as the site slopes gently down, allowing the developers to lay out the blocks to ensure uninterrupted views. The blocks in fact look more like large villas than apartment blocks, which is a smart move by the developers. Each apartment offers a lounge and dining area, fitted kitchen bathroom and outside space, either terraces for the ground floor apartments, or balconies for the upper storey. The communal facilities at Serenity should be ideal for both residents and holiday makers alike. The clubhouse will be the social hub of Serenity, with a bar, traditional pub games including billiards and darts, plus wide screen tv for those all-important FA Cup games! The clubhouse will also include a spa and gym so you can work off that extra slice of baklava without leaving the Serenity site. For the active types, there is a mini golf course, tennis court, children's playground and mini football field, plus the gym in the clubhouse. For those who want to take it easy, there are barbecue and picnics areas, a secluded Mediterranean garden and plenty of landscaped grounds to wander in. However, the site has one only large swimming pool, which might get crowded in summer if all 92 apartments are occupied. Luckily, the children's section of the pool is separate. 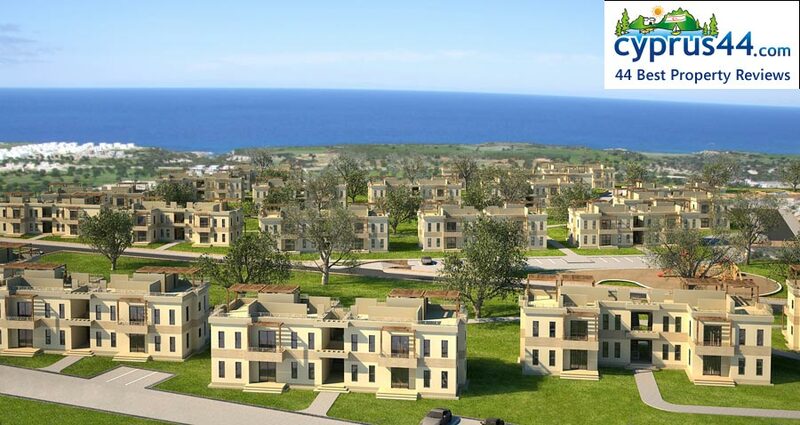 Offsite, the new Korineum golf course is just a few minutes' drive away, a real draw for potential rental clients. Unity Ltd are offering a generous 10% discount if you choose to pay in full rather than installments, and other discounts apply if you purchase two or more apartments. 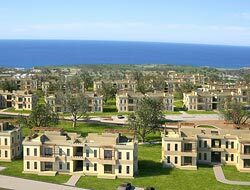 By 15th July 2007, the show block of Serenity apartments at Esentepe will be complete for viewings, and Unity offer inspection trips for interested investors. This web page is served on 19 April 2019 at 23:15:25.